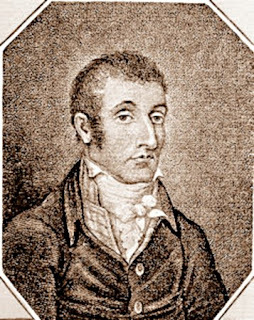 This is a very unique specimen in that John Bellingham is the only person in Britain who successfully assasinated a Prime Minister (May, 1812) so I thought I'd make this my second blog post. 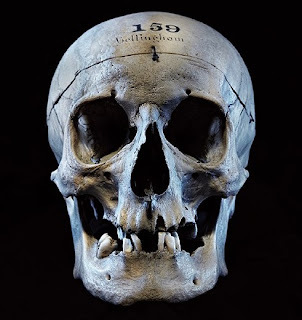 We don't have too much information about this skull but we do know the museum acquired it because, as was customary at the time, the punishment for murder was to be 'hanged and anatomised' (that is dissected in a Medical School for the benefit of the students). 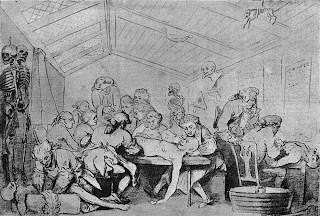 Prior to the Anatomy Act of 1832, there were two ways in which Medical Schools such as the one here at St Bartholomew's Hospital (established around 1790 by John Abernethy) acquired cadavers for teaching: They were prisoners sentenced to death or they were purchased from Ressurection Men. Many of our readers will be familiar with Ressurection Men or Resurrectionists as we have had a lecture here on the topic, and despite the unsavoury nature of the trade it was a necessary practice if young medics were to train to become doctors and surgeons. According to other records, 'something of interest' was found in his stomach and left testicle and these particular parts were kept in the Royal College of Surgeons Museum. 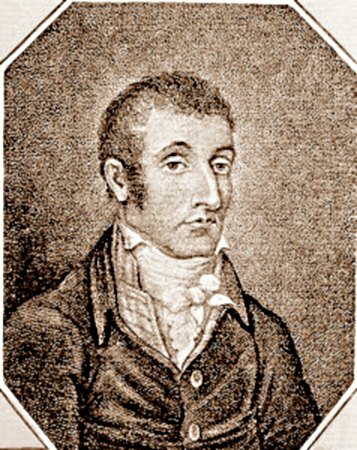 After the dissection and other subsequent experiments, the body was placed into the care of Edward Stanley, one of the favoured pupils here at Barts. Also at that time there was a fascination with animation of the dead (for example, Mary Shelley's "Frankenstein" was published in 1818) and surgeons carried out experiments to 'explore how long a heart could be made to move after death'. In this case, the surgeons experienced one of their greatest triumphs as Bellingham's heart continued to move for a period of nearly 4 hours after death! 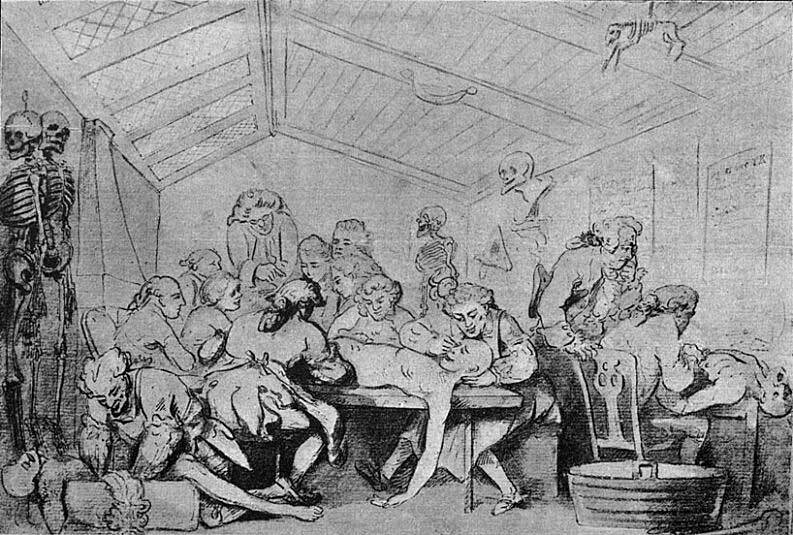 In fact it was the dissection of Bellingham at The Royal College in 1812 that led directly to their 'Regulations Relating to the Bodies of Murderers being written. This was a set of guidelines specifically meant to ensure that the dissection of criminals was not a public spectacle or 'circus' and was done purely for medical knowledge. Let's not forget this skull began life as a man, not just a specimen: a man who believed that he was acting in a perfectly rational way after he was 'mistreated' by the government in the years prior to the murder.